Elfsight OpenCart contact us form extension will meet all your demands in collecting impressions and enquiries from customers using your site. 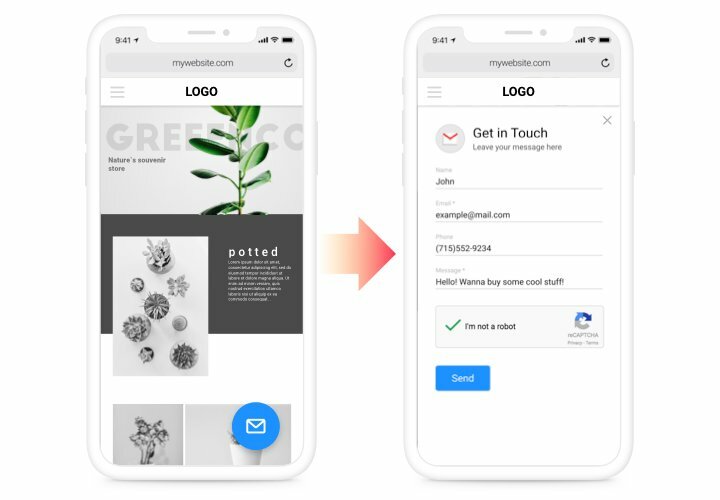 Embed essential fields, find the optimum template variant and customize the color scheme, to encourage your customers even more to send their impressions about your products or company. 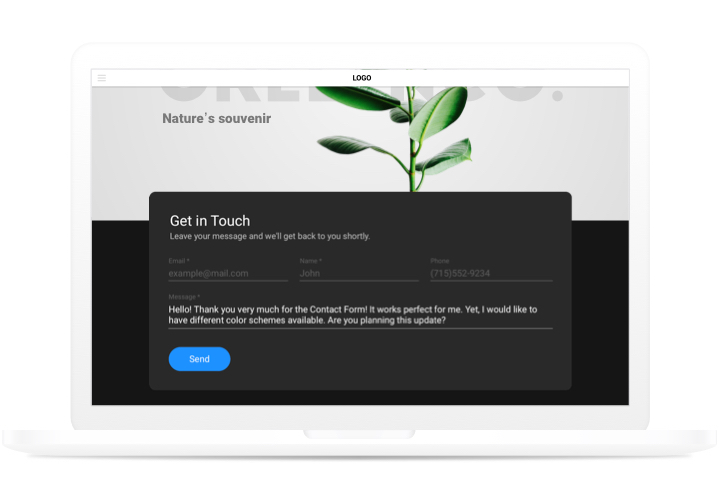 Collect feedback, get orders and send answers to the messages of the users of your site! Up to +100 to the quantity of potential customers. 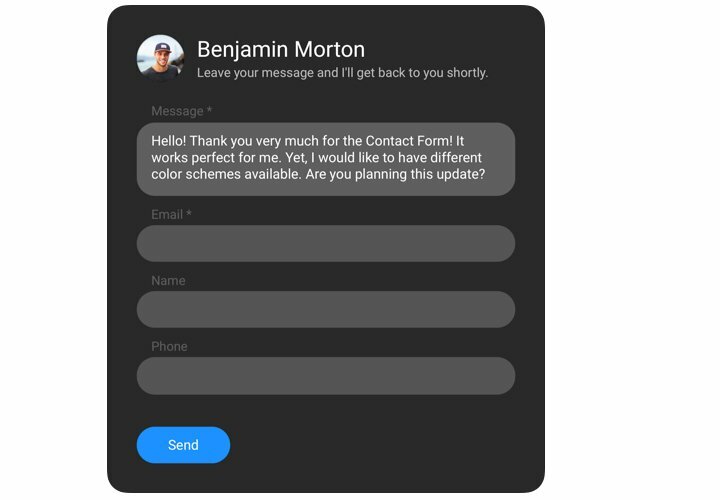 Assure continuous communication with probable customers night and day via a convenient form on your site and havemore visitors who are on their way to pay. Collect more reactions about products or services. Reactions of your customers are essential for enhancement of the company. Due to our easy contact-form, you will be able to have more reviews from your website! 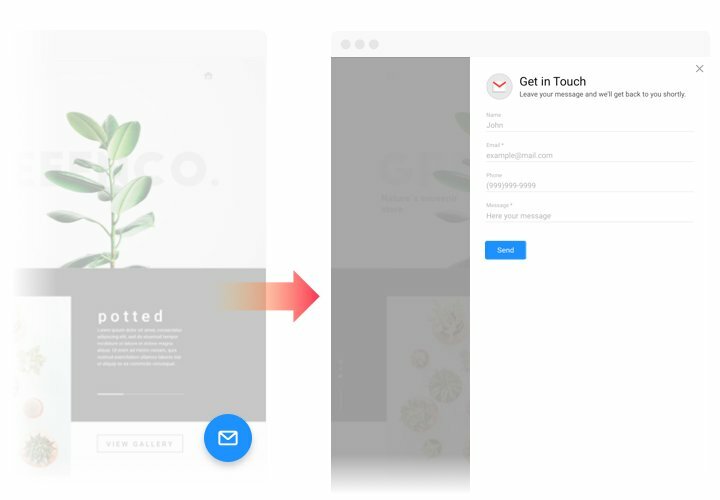 Thanks to handy templates, adaptive look and individual «Thanks You» notifications, you can demonstrate to your users that you value them. Works and looks perfectly on mobile devices. Check tutorial by Elfsight, to display contact extension to your site. You will not need skills in web programming and complete installation duration is just 1 minute. Download the extension and integrate it into the site. Select the needed version of the widget and get its file. Next, install it to your site via «Extension Installer» in the admin panel. In «Extensions» section, adjust filter by module and find Contact Form. Then, make desired settings of the template and functions. Integrate the extension into the page. Define the necessary page, add the extension code there and apply all the edits. You fully performed the installation. Visit OpenCart site, to see your app! Do you stumble upon any difficulties while following the instruction or shaping your form? 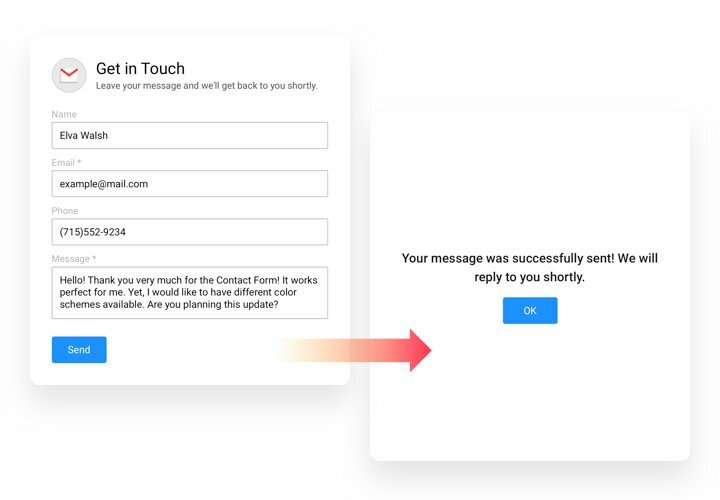 Hen it’s highly recommended to study a complete instruction «How to add Contact form on a OpenCart website» and give a try to install it yourself again or contact our help center with detailed description of your problem, and our team will be happy to answer your questions. 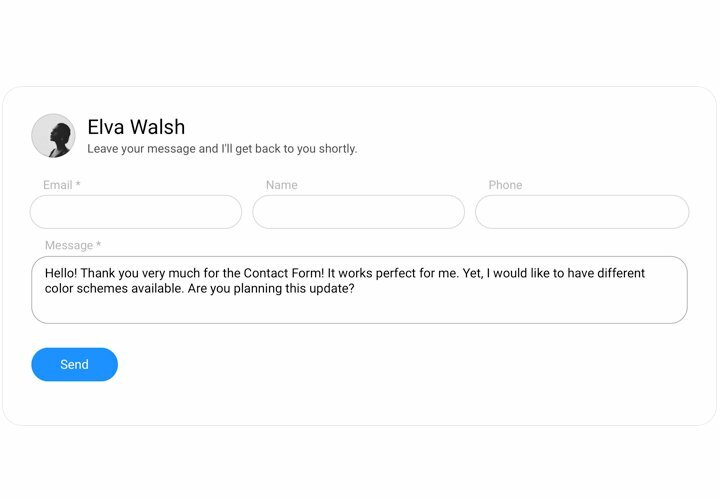 Construct OpenCart Contact Form absolutely free!